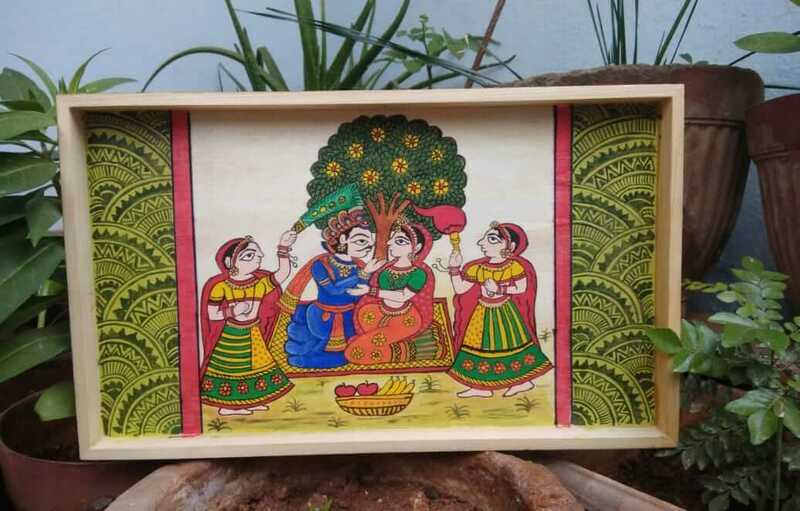 Phad Paintings or Phad is a traditional folk art practiced in the state of Rajasthan, India. While the origin of this art dates to over 700 years back, the style was revolutionized about 40 years ago by Shree Lal Joshi. Phad painting is traditionally done on a long piece of cloth or canvas known as Phad. In this 4 hour workshop, participants would be making a Phad Painting on 10 inches by 14 inches tray.